Exeter hairdressers; there are so many! How do you choose the one that’s right for you? Our hair says a lot about us; one botched hair style can do lasting damage on our self-esteem. This is why it is vital that you find an Exeter hairdresser that is just right for you. There are several factors that play a role in choosing an Exeter hair salon that is perfect for you. This article will give you our top tricks and tips for finding your hairdresser soul mate. Choosing the right hairdresser for you is about more than just the look they can create with your hair, it’s about finding a stylist who you really mesh with and can form a relationship with. After all, once you find the right one, you will be spending quite a bit of time in the chair together. Whether you are new to Exeter or just looking to get a fresh, new look after a recent breakup, finding the right hairdresser can be done if you follow our tips below. If you are looking for the perfect hairdresser in Exeter, your first step should be to ask around. Talk to family, friends and colleagues about their hair and who does it. Know someone with jealousy inducing hair? Ask them who does it! One of the best ways to get honest feedback about a hairdresser is to ask someone who has used them. Your circle of friends and family are a great referral source. In today’s world, everything is available online; the good, the bad and the ugly. Do a quick Google search for hairdressers Exeter and see what comes up. You are likely to find many salon options and lots of review to read through. Keep in mind though that unhappy patrons are much more likely to leave reviews than happy ones, unfortunately. Most salons have websites that display their work, introduce their stylists and talk about their preferred products or techniques. Read through these and narrow done the salons that you feel suit you best. With the continual rise of social media, you can be sure that you will be able to find your chosen salon on the likes of Facebook, Twitter, Instagram etc. You should be able to find examples of work that you like the look of. Also look for feedback from clients. You will also be able to get a feel for the brand from social media channels; does this salon look like you want to visit and trust with you hair? Something else to look out for is what kind of posts they are sharing, is it all just about the salon and their business, or are they sharing useful articles and tips that can be of benefit to you? Once you have a short list of hairdressers that you think would be a good match, you could schedule a wash and blow dry as a trial run. A blow dry is one of the most non-committed services your hairdresser can provide; so no need to worry about leaving in tears with a bad cut or colour! This allows you an opportunity to get to know your hairdresser and the Exeter hair salon. It is important that you feel connected to your hairdresser and are comfortable being open with him or her. 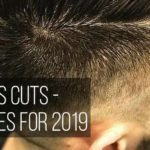 While it may be a bit of an investment in both time and money, it is wise to try out at least 2 or 3 different Exeter hairdressers before making the commitment to one. Once you have chosen your perfect hairdresser, the time and money will be well spent as you hopefully will have found an Exeter hair salon and stylist that you can continue to use and love for years to come. If you are thinking of booking a hair colour appointment then you will need to arrange a consultation with your prospective hair salon. 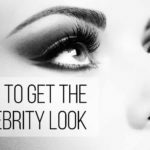 This is important to ensure that the stylist is fully aware of the look that you would like to achieve, and also so that you feel confident in their ability to interpret what it is that you want. During the consultation your hairdresser should also perform a patch test to ensure that their products are safe for you to use. Patch testing is extremely important, and if your hairdresser is prepared to take a booking without performing this then we this should be a red flag to you, as there are ingredients in some hair dyes that can cause severe allergic reactions. If you want to learn more about The Hair Boutique’s services and stylists, we welcome you to check out our website, give us a call or book an appointment – you won’t be disappointed!